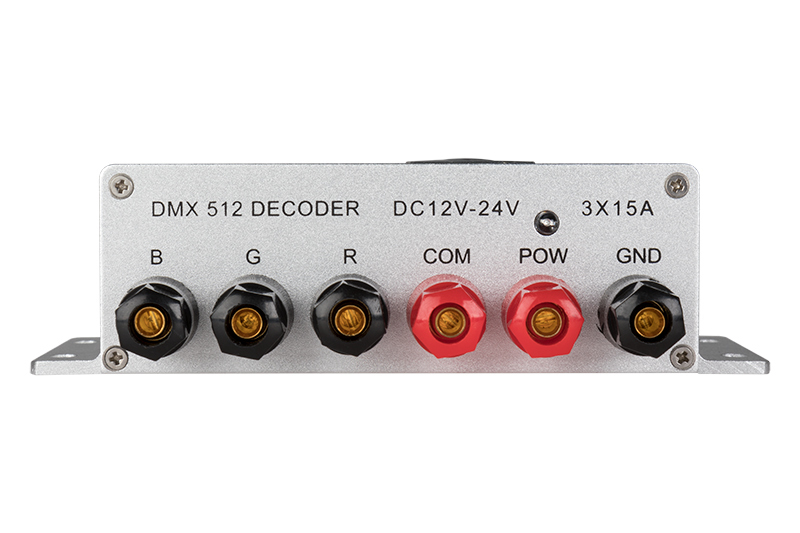 This 3-channel DMX 512 decoder can control up to 3 different 12-24 VDC LED products or anyone RGB LED light bar or strip. 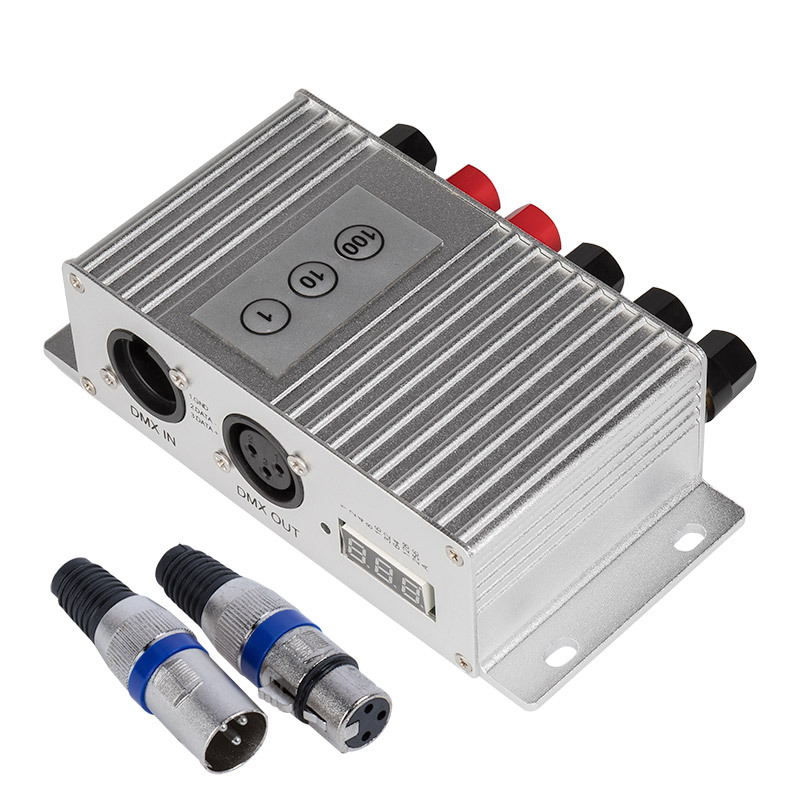 The controller can run in stand-alone mode using address code buttons or under DMX512 digital control signals using an XLR-3 DMX512 input/output interface. 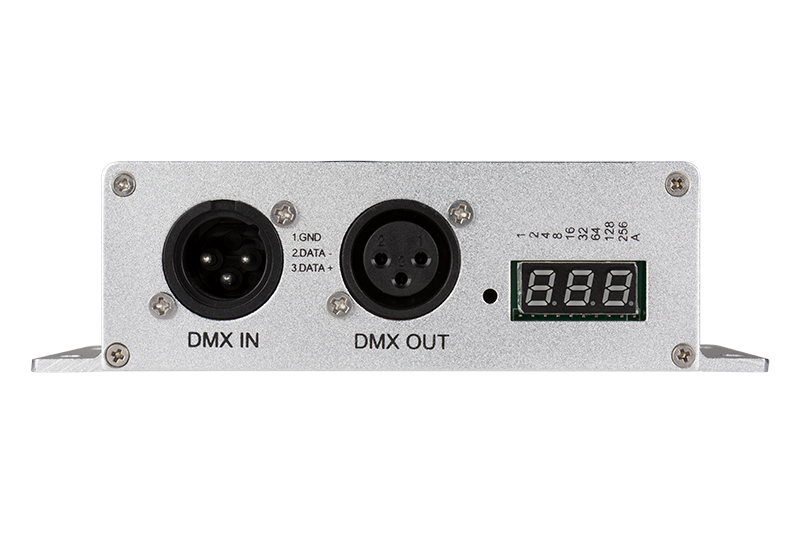 DMX decoding driver converts universal DMX512/1990 digital signal to PWM signal, which can be controlled by DMX512 console. The decoder allows for 256 brightness levels. Maximum load is 15 amps per channel. 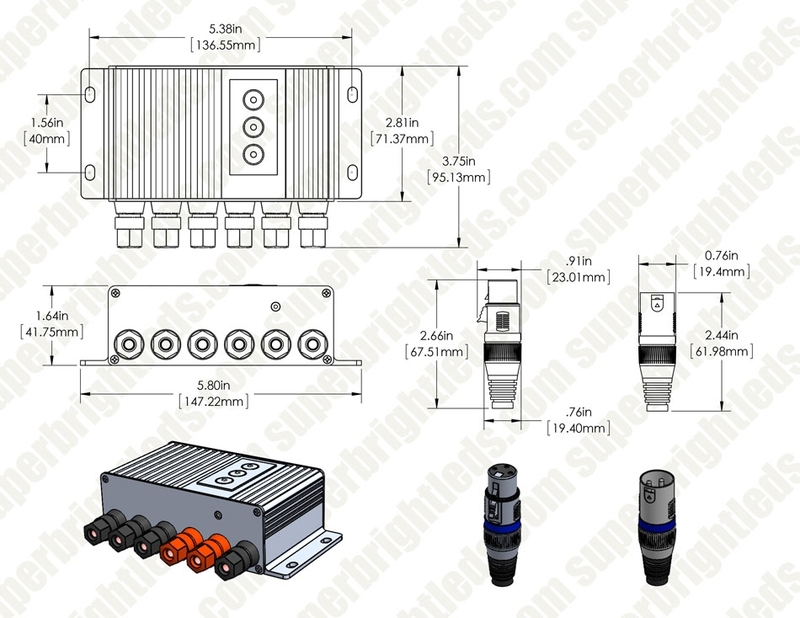 Includes male and female 3-pin XLR connectors.